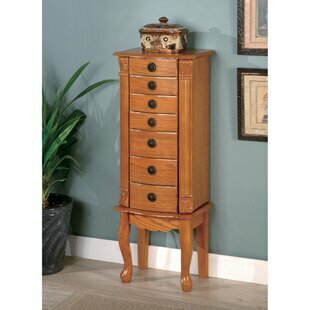 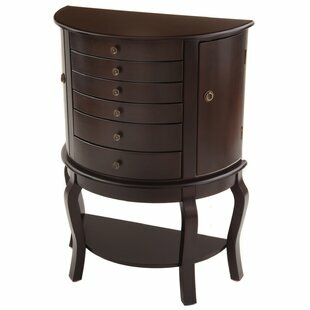 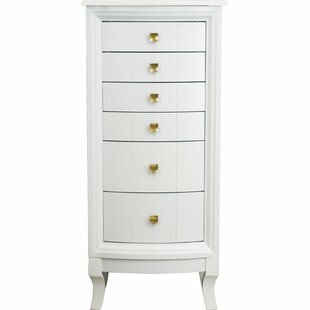 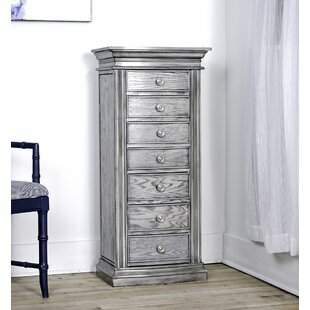 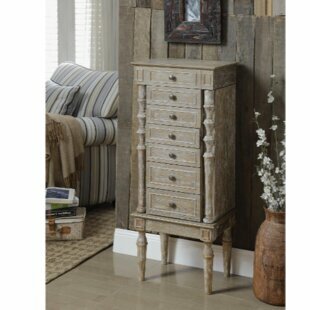 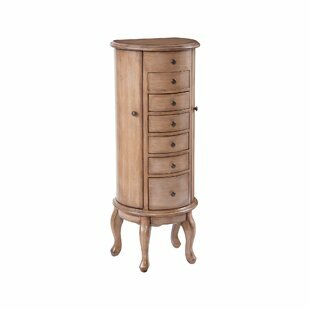 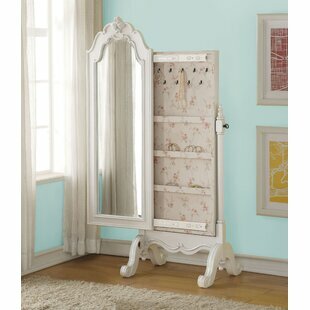 This stylish Wood Free Standing Jewelry Armoire is great for ladies that love their jewelry displayed in a classy way. 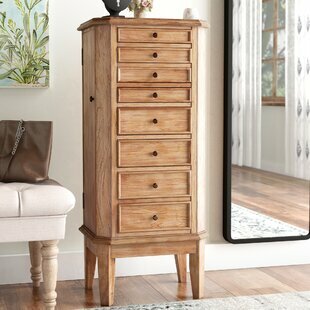 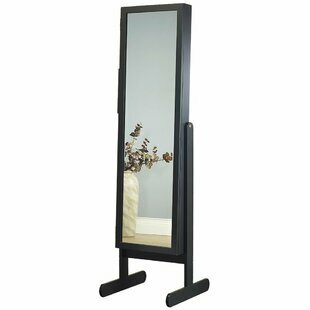 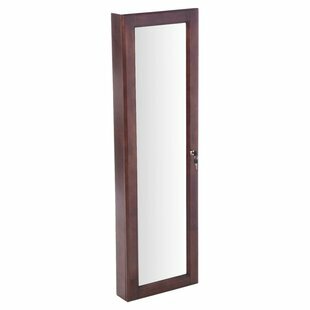 It features sturdy wood construction, a raised mirror, five jewelry storage drawers and two side doors with hooks. 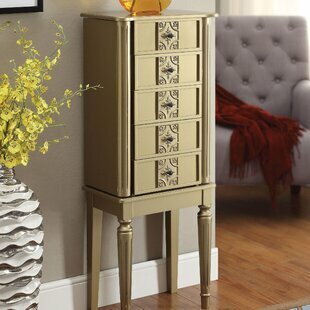 Each storage compartment is nicely lined. 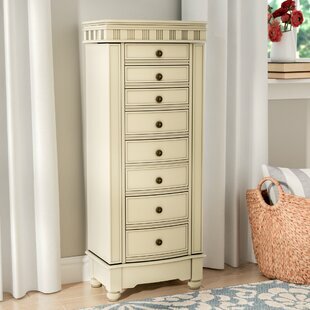 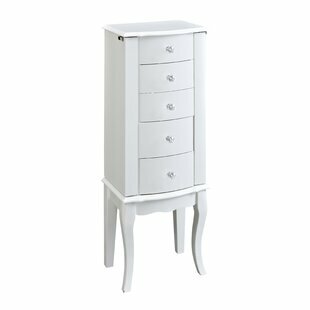 Nicely crafted drawer fronts with the wooden fluted legs, the jewelry armoire will be a useful and stylish addition to any bedroom. 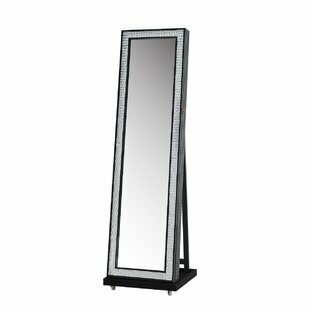 Overall: 40 H x 10 W x 16 D Overall Product Weight: 33lb.